Fashioned from the same experiences that would inspire the masterpiece Huckleberry Finn, Life on the Mississippi is Mark Twain’s most brilliant and most personal nonfiction work. It is at once an affectionate evocation of the vital river life in the steamboat era and a melancholy reminiscence of its passing after the Civil War, a priceless collection of humorous anecdotes and folktales, and a unique glimpse into Twain’s life before he began to write. 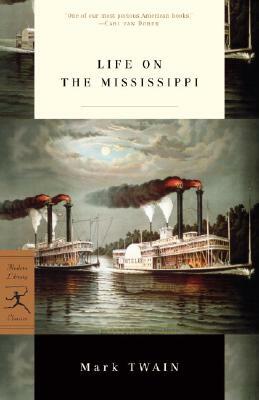 Written in a prose style that has been hailed as among the greatest in English literature, Life on the Mississippi established Twain as not only the most popular humorist of his time but also America’s most profound chronicler of the human comedy. Mark Twain, born Samuel Langhorne Clemens in 1835, led one of the most exciting of literary lives. Raised in the river town of Hannibal, Missouri, Twain had to leave school at age 12 and was successively a journeyman printer, a steamboat pilot, a halfhearted Confederate soldier, and a prospector, miner, and reporter in the western territories. His experiences furnished him with a wide knowledge of humanity, as well as with the perfect grasp of local customs and speech which manifests itself in his writing. With the publication in 1865 of The Celebrated Jumping Frog of Calaveras County, Twain gained national attention as a frontier humorist, and the bestselling Innocents Abroad solidified his fame. But it wasn't until Life on the Mississippi (1883), and finally, The Adventures of Huckleberry Finn (1885), that he was recognized by the literary establishment as one of the greatest writers America would ever produce. Toward the end of his life, plagued by personal tragedy and financial failure, Twain grew more and more pessimistic—an outlook not alleviated by his natural skepticism and sarcasm. Though his fame continued to widen—Yale & Oxford awarded him honorary degrees—Twain spent his last years in gloom and exasperation, writing fables about "the damned human race."